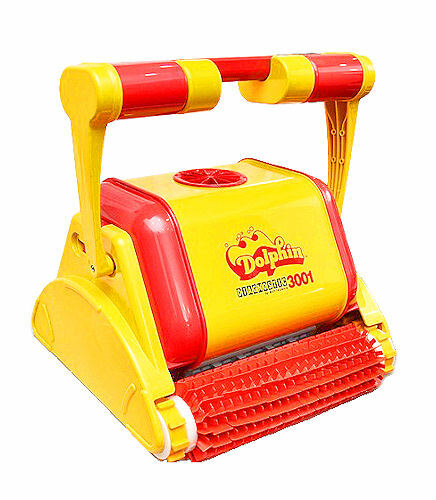 Manufactured by Maytronics, the Dolphin 3001C robotic pool cleaner has been the mainstay of the Dolphin range for many years. Capable of cleaning pools uop to 20m in length. Manufactured by Maytronics, the Dolphin 3001C robotic pool cleaner has been the mainstay of the Dolphin range for many years. Capable of cleaning pools up to 20m in length. Self contained internal filters keep debris trapped in the cleaner, making it simple to clean & service filters. Cleaning cycle time of 6 hours to fully clean the larger pools.